GUANGZHOU, CHINA—September 25, 2018--ZW3D announced that ZW3D has integrated VoluMill completely, which is available now. Powered by the high-speed roughing technology, ZW3D can reduce cycle time by 70%. Fully integrated into ZW3D, VoluMill, the high-performance roughing strategy combines optimal milling paths and maximum material removal with minimized machining times. The built-in technology does not require extra installation which is very convenient without disrupting workflow. Using the all-in-one CAD/CAM solution for the whole process of product development, ZW3D customers can manage 3D data & its transition, finish design and manufacture works under one platform. Embedded in ZW3D CAM module, the ultra-high performance toolpath option that uses a constant & high-speed toolpath, leading to an optimized CNC program. 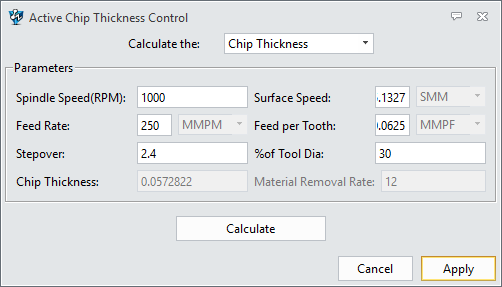 Besides, the powerful, high material removal rate capabilities can help customers create the most efficient toolpath for a wide variety of milling part types in your workshop. Consequently, it’s proven to increase cutting tool life up to 800%. Available in 2-3 Axis, VoluMill for ZW3D is perfect for the airframe, automotive, mold & die, medical, machinery component, and consumer-products markets, for all roughing needs on free-form or prismatic parts. Additionally, ZW3D is well suited for machining soft as well as hard materials that are hard to chip, such as titanium, nickel-based alloys or stainless steel. The result is increased efficiency and utilization of machines, tools, labor and materials. “We appreciate that VoluMill is tightly integrated with ZW3D. 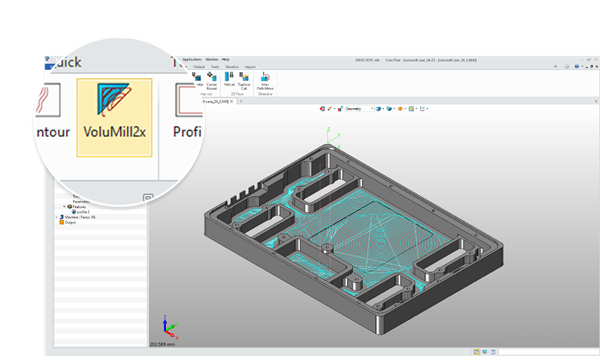 The task-focused toolpaths strategy performs much better than the traditional one. ZW3D will significantly help users increase productivity by 50% or more.” Vice President of ZWSOFT, Mason Liu said. From September 25 to November 30, customers can book VoluMill for ZW3D and it can totally save up to $4,000. For more information, please click here.